There is no denying that a house with a beautiful kitchen is hot commodity, and like they say a kitchen is the heart of the home. So why not make your heart bright and colourful? Missing the beach? 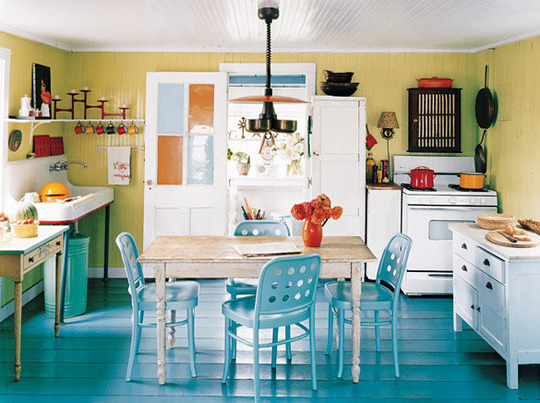 Bring the ocean inside with this airy and vibrant coral and sea foam palette! 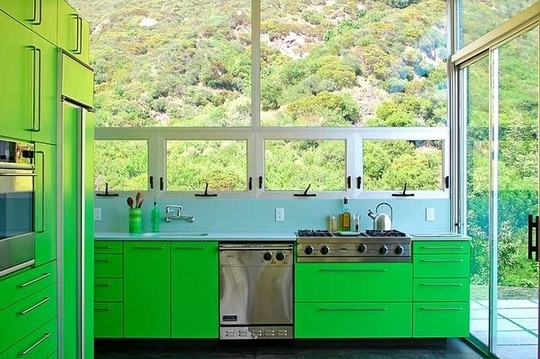 From bright teal to jungle green, this open kitchen pulls in lots of brave colors for a fun feel. 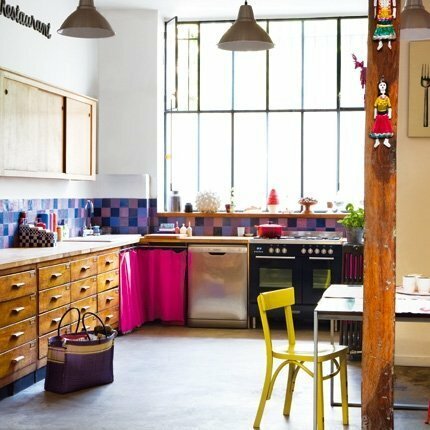 You don’t need to have a futuristic kitchen to play with colour, this simple and rustic kitchen simply shines with an explosion of colour and personality. 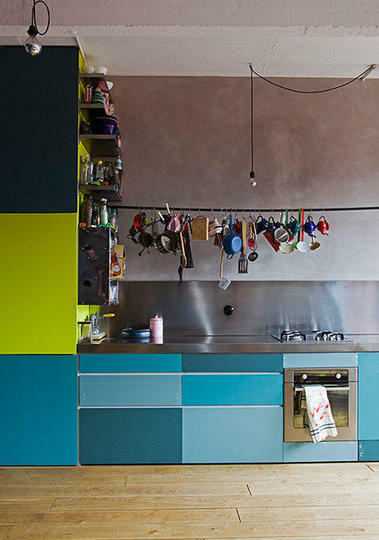 Varying shades of turquoise and a punch of green bring some playful warmth to a lot of stainless steel and tall ceilings. 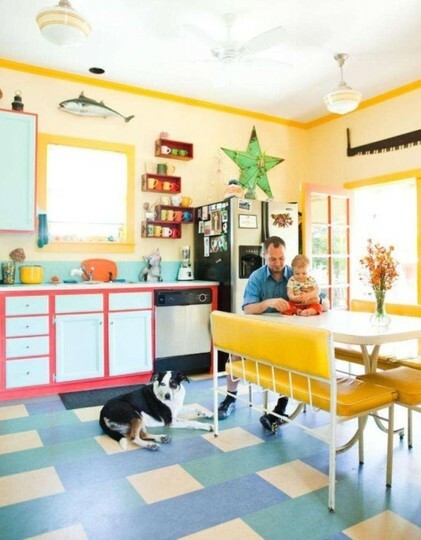 Pink, yellow, and blue — and a fish, a star, and lots of colorful mugs — make this kitchen in its "New Orleans" color palette a welcoming place to be. 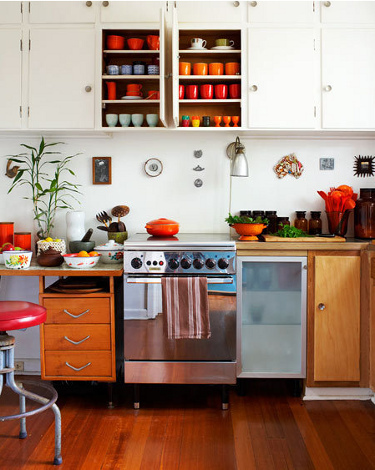 This little kitchen just exudes warmth; wood and orange and red tones all blend together to balance the stark white of the cabinets. 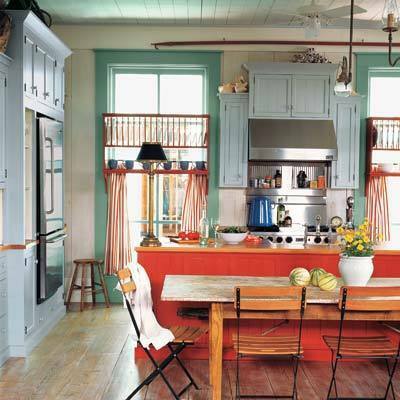 Balancing old and new — a china collection on a daringly colored column — gives this kitchen a modern twist on an old-world feel. 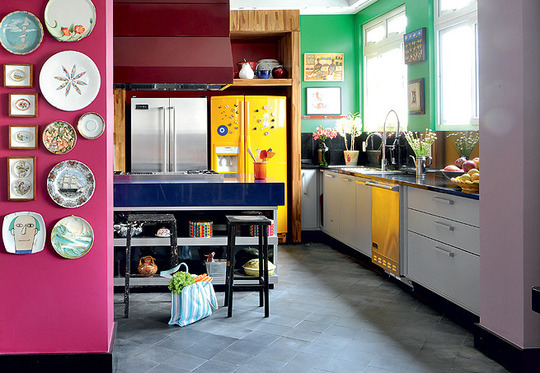 This kitchen resides in a home that's in a remodeled toy factory — hot pink, yellow, and purples enliven a tall, bright space. Glistening tiled backsplash? 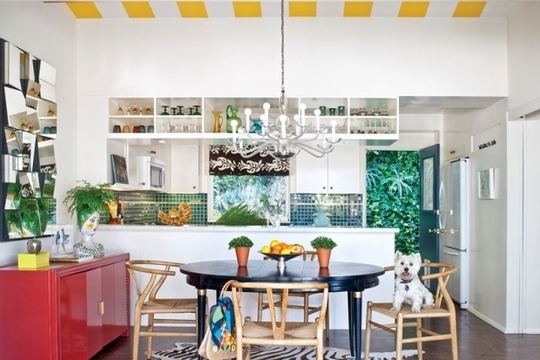 Yellow striped ceiling? Shiny red cabinet? Cute little dog? 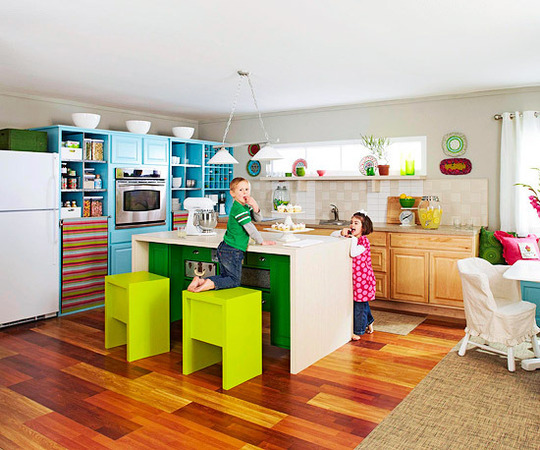 This kitchen meets all of those expectations!